(CNN) - A federal judge on Thursday set a trial date of Feb. 3, 2020, for the insider trading case in which Rep. Chris Collins, his son and another man are charged with securities fraud, wire fraud and false statements stemming from an alleged scheme centered on an Australian pharmaceutical company. Collins, a Republican from Western New York state who was the first sitting congressman to back President Donald Trump's bid for the White House, faces re-election next month in a tight race with Democratic challenger Nate McMurray. 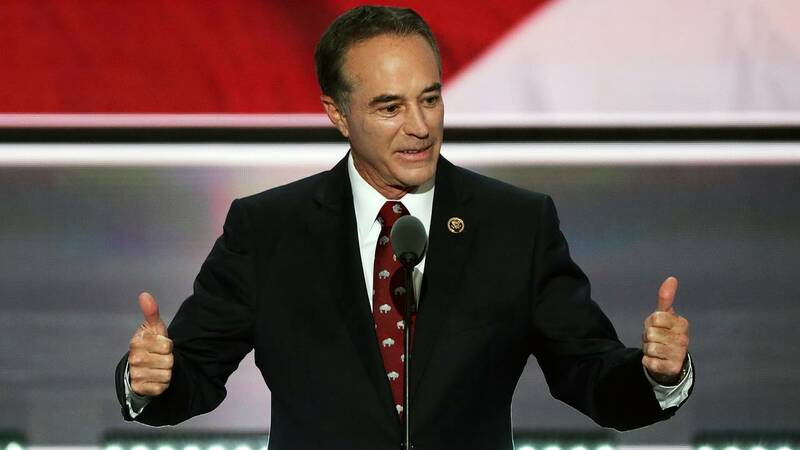 The date set by US District Judge Vernon Broderick in Manhattan federal court positions Collins' trial in another congressional election year, when he will again face re-election if he retains his seat in November. On Thursday, Assistant US Attorney Scott Hartman repeatedly pressed for an earlier trial date, arguing that there is a "strong public interest in seeing this case resolved in 2019." "This is an important case," Hartman said, adding: "It's not a particularly complex case." According to the indictment, Collins and the other defendants acted on non-public information about the results of a drug trial and used it to trade on the stock of the pharmaceutical company, Innate Immunotherapeutics Limited, of which Collins was a board member. The indictment doesn't allege that Collins himself traded on information about the failed results of a drug trial, but that he passed the information to his son, Cameron Collins, so that the younger Collins could execute trades. And it alleges that the younger Collins passed the information to others, including his fiancée's father, Stephen Zarsky, who also traded on the information. None of the defendants attended Thursday's hearing. Collins has called the charges against him "meritless." After being indicted in August, Collins initially said he would suspend his re-election bid, then weeks later reversed course, saying he would seek another term in office despite the charges. An attorney for Collins, Jonathan New, said in court that the US attorney's office had "rushed to bring this case before this current election." New said the defense needed a trial date no earlier than late 2019 to address several potential pretrial issues, including whether any of the material obtained by the government was subject to what is known as the "speech or debate" clause, a provision in the Constitution that protects legislative work from executive branch interference. Hartman, however, disputed the notion that Collins and his co-defendants would need an extended period before trial, saying the congressman had been "on notice of the fact that the government was investigating him for some time. They have had plenty of time to consider the speech or debate issues." Hartman also noted that "the congressman has been on television declaring his innocence," at which point Broderick cut Hartman off. "I understand that the defendant perhaps has more of a bully pulpit than the average defendant," Broderick said. "And I'll leave it at that." "I didn't mean to disparage his declarations of innocence," Hartman replied. "It's absolutely his right. He should be doing that, but my only point was this is a case that is of public significance. The public is paying attention to what's going on here, and it does nobody -- it's not a service to anyone to have a question mark hanging over whether these allegations can be proven or not in court."